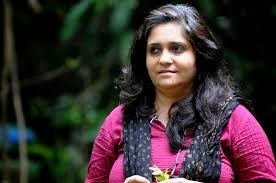 The National Alliance of People's Movements (NAPM), the apex body of tens of people's organizations and NGOs across India, has demanded withdrawal of “false cases” against Teesta Setalvad, her husband Javed Anand and their associates in the by now famous Gulbarg Society Case. Demanding “justice for riot victims and survivors and space and security for human rights defenders", the NAPM, in a strong statement, said, it is “deeply disturbing” that the Gujarat High Court has refused the anticipatory bail applications of rights activists Setalvad and others. “We strongly feel that the High Court could have meticulously examined the extensive submissions put forth by Teesta, before rejecting the bail application, seeking dropping of charges. We also express our discontent with the sweeping observations (click HERE to read) made in the Order against social justice groups”, the NAPM, in a signed statement by Narmada Bachao Andolan (NBA) leader Medha Patkar and tens of others said. “Although there is temporary respite with the intervention of the Chief Justice of the Supreme Court today, it is a matter of extreme anxiety that ‘armed’ with the High Court’s order, the Gujarat police is keen to immediately arrest Setalvad and others for 'custodial interrogation',” the statement said. “We hope the Supreme Court will appreciate the overall circumstances of the case, merits of the High Court’s order and observe as to whether at all there is any need for “custodial interrogation” of the bail applicants, at this stage of the legal process”, it pointed out.